The information being shared here is informational only. 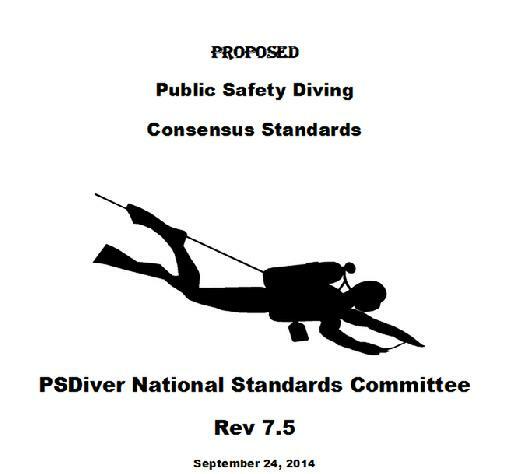 The work to develop a National Consensus Standard for Public Safety Diving is ongoing. The documents available here are working draffts and do not necessarily represent the most up to date work. If you would like to participate on the project, email PSDivermonthly@aol.com and request an invitation. Include your contact information as well as your PSDiver experience.